When the doors opened at 6pm for the premiere of Jeremy Lipking's first exhibition in almost four years, everyone at Arcadia knew that this event was not going to be like any other since the gallery's move to Los Angeles. 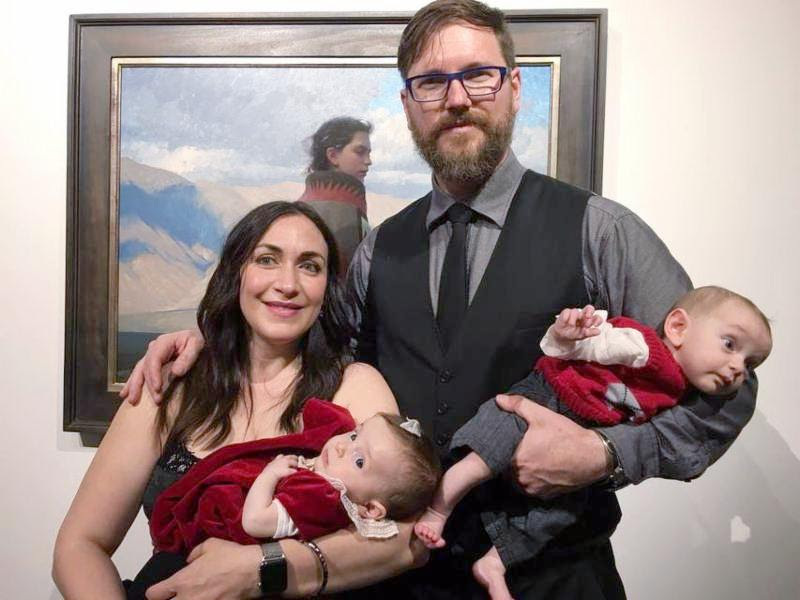 With crowds extending from the front door of the gallery into the adjacent Town Plaza, the excitement was palpable as collectors, family, friends and other artists crowded into the gallery to see what this contemporary master had created. 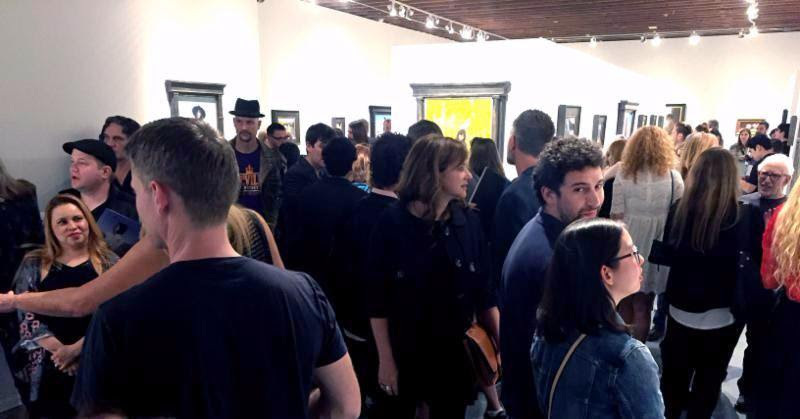 Attendees were not disappointed as works ranging from delicate portraits to heroic landscapes mixed with timeless still lifes and Lipking's signature depictions of his family all had collectors seeking out red dots and congratulating the artist as he stood in the gallery soaking up the enthusiastic responses. For his fifth exhibition with Arcadia, Lipking's works displayed a maturity that comes with time and dedication to his craft. Lipking's paintings are elegant, timeless and display a level of skill that most painters aspire to in their lifetime and yet, Lipking is only in his early 40's. This important exhibition of new paintings by Jeremy Lipking continues through April 2nd and a full-color catalog is available for purchase. If you are unable to attend the exhibition, click on the gallery image below for installation photos of the entire exhibition. Mary Henderson "Marchers" Oil 18" x 18"
Join Arcadia Contemporary on April 27 to 30 as we return to the Fort Mason Festival Pavilion in San Francisco. 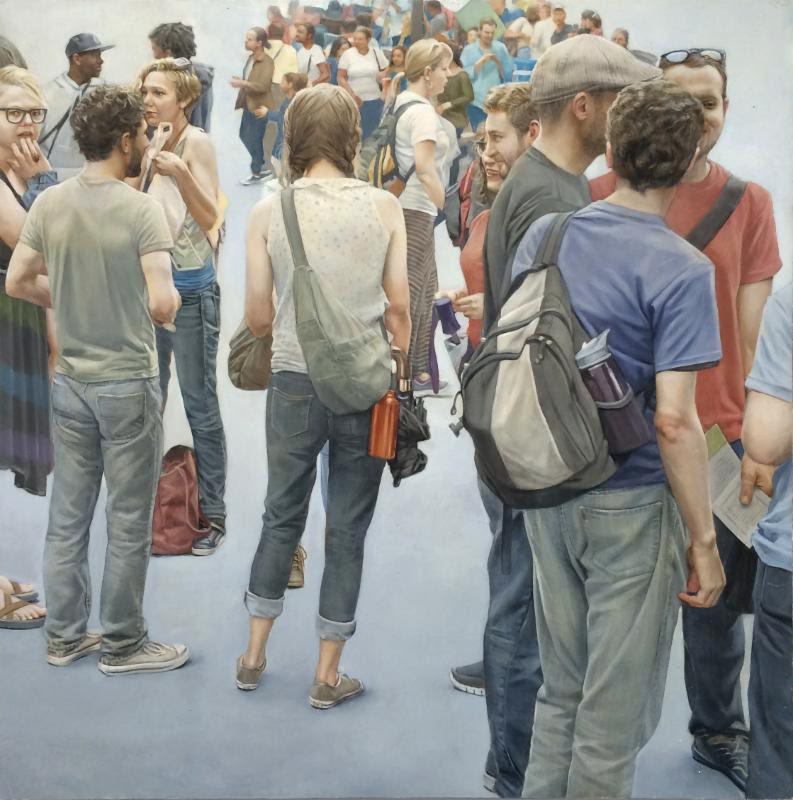 Plan on arriving eary to the fair to see the premiere of new paintings from Denis Sarazhin, Adam Vinson, Jeffrey Ripple and many more at one of the most important art fairs in the Northwest. by clicking on the link provided. Jeffrey Ripple "Studies from my Garden" Oil 16"x12"
An article on contemporary, still life painting would not be complete without mentioning Arcadia artist, Jeffrey Ripple. 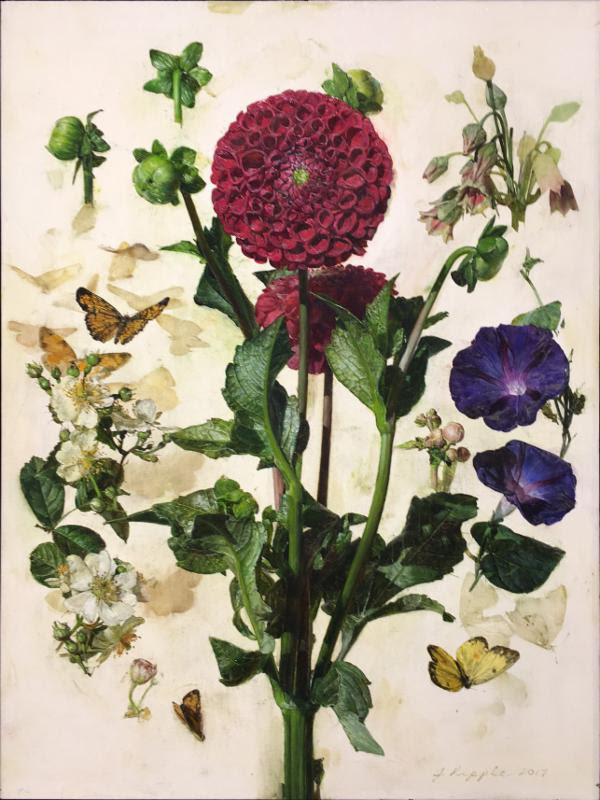 As one of the premiere, floral painters in the country Jeffrey Ripple and his work was featured in American Art Collector Magazine's March 2017 article on florals and botanicals. John O'Hern in American Art Collector Magazine describes Ripple's unusual floral compositions as "...variations on a theme of color and size as if they were different notes on a scale played at different volumes." Rather than representing florals in the typical bouquet arrangements, Ripple chooses to depict his stems and blooms with separation, highlighting the unique qualities of each plant and Arcadia Contemporary is proud to represent this modern master. Click Here to see available works by Jeffrey Ripple on ArcadiaContemporary.com. 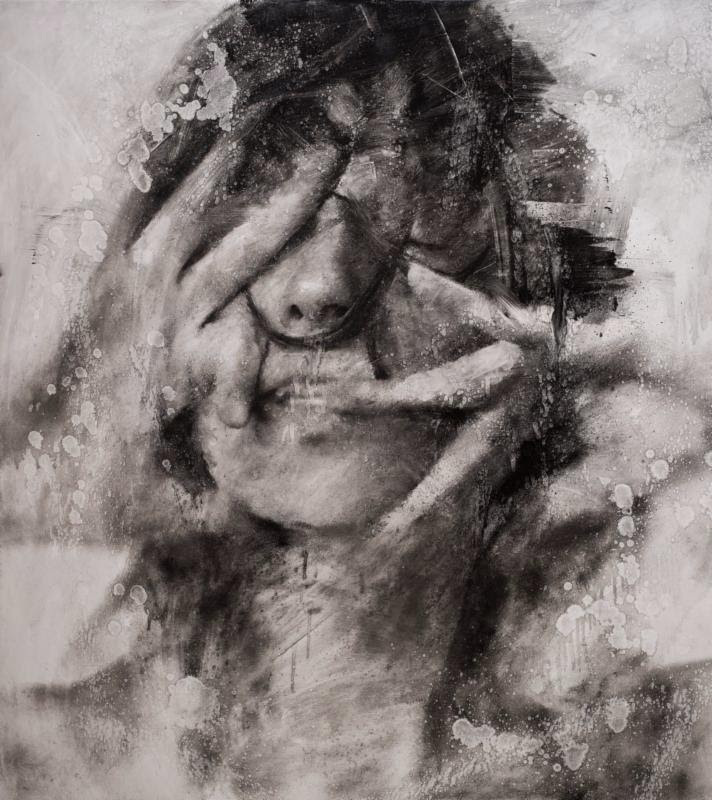 Casey Baugh "Hands Like Butterflies Bending" Charcoal 54" x 48"
JULY - "THREE UNDER THIRTY"
AUGUST - "FIVE AND UNDER... THE SEQUEL"